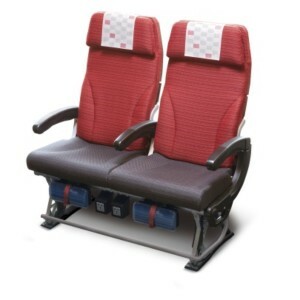 TOKYO, 2015-10-1 — /Travel PR News/ — Japan Airlines (JAL) today received Good Design award 2015 from the Japan Institute of Design Promotion (JDP) for its latest Economy Class seat– JAL SKY WIDER II. JAL has been arranging this new seat on its Boeing 787 aircraft since December 2014, as the second installment of “New Spacious Economy” project for international service. The products are selected for Good Design Award through the comprehensive examinations which require not only beautiful appearance but also good quality, user-friendliness as well as functionality or innovativeness etc. JAL will continue to embrace new challenges to provide customers with more innovative products and high-quality services. The JAL SKY SUITE 787 is fitted with the airline’s latest interior and includes JAL SKY WIDER II seats in Economy Class in a 2-4-2 configuration. These new seats achieve the world’s top-scale seating space with approximately 5 centimeters more seat width and seat pitch than the 3-3-3 configuration adopted in the Boeing 787s of most other airlines. This entry was posted in Airlines, Travel Awards, Travel Management, Travel Services, Travelers and tagged Economy Class seat, Good Design award 2015, JAL SKY WIDER II, Japan Airlines, Japan Institute of Design Promotion. Bookmark the permalink.